One of my favorite souvenirs from the Harry Potter park (other than the Harry Potter wands) are the Harry Potter robes. These robes are house cloaks like the students would wear while attending Hogwarts. These particular robes go well beyond the standard Harry Potter costume robe. We have found the best spots to purchase the Harry Potter robes. These robes are thicker, better constructed, and actually look like an actual robe rather than a costume. You can buy them in a different color for each of the Hogwart’s houses; Gryffindor, Hufflepuff, Ravenclaw, and Slytherin. The Harry Potter robes are in short supply. You find a limited selection of both size and house in the robes, at least in my experience. We have found two places to find the Harry Potter robes. You can find them at the Wizarding World of Harry Potter at Universal Orlando and Hollywood. You can also find them at the WB Shop online. The robes are actually less expensive at the Wizarding World of Harry Potter for $99.95 plus tax. The Harry Potter robes at the WBShop are 50% more than the ones at WWoHP. I find this somewhat unusual, as WB tends to be the same price or lower than the Harry Potter park merchandise. 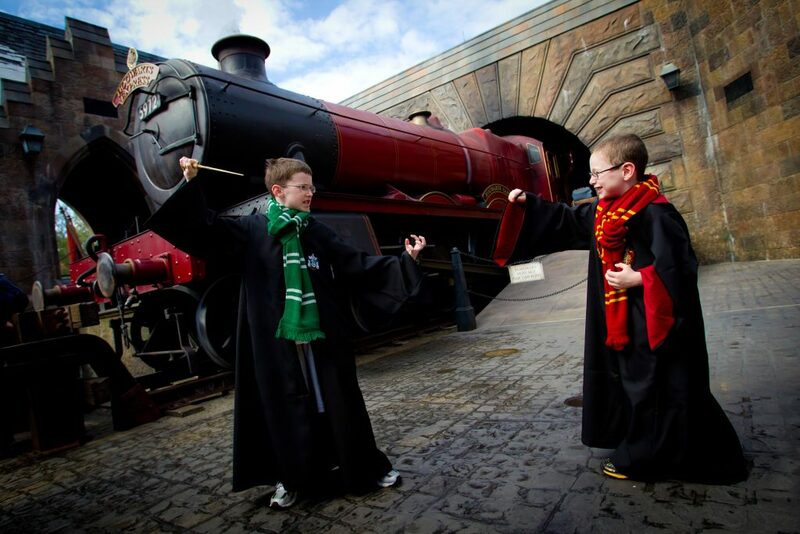 We do like the Harry Potter robes at Wizarding World of Harry Potter better. You have a variety of sizes to choose from at WWoHP. One of the super cool features of the Harry Potter robes at Wizarding World of Harry Potter is the secret wand pocket. There is a pocket in the robe where you can store your wand. 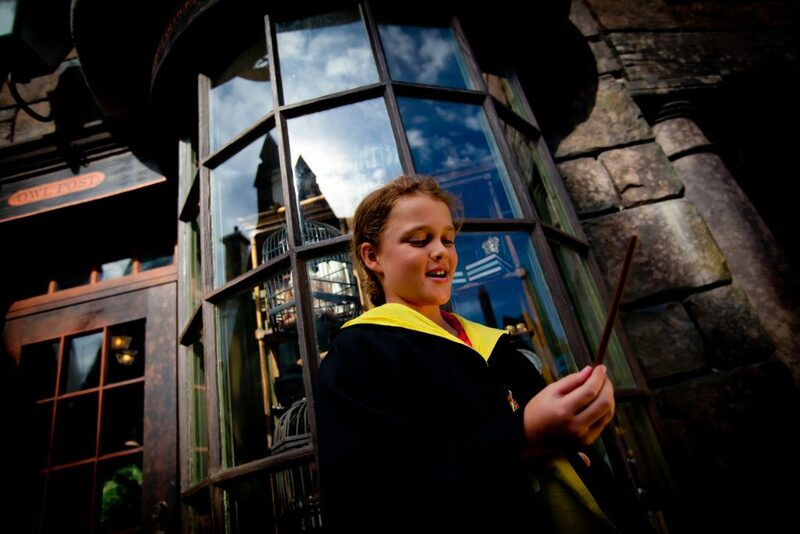 This is perfect for those interactive wand spell locations at both Hogsmeade and Diagon Alley. The Harry Potter robes at the WB Shop are more expensive. Also something to note if you decide to buy the WB Shop’s version — they’re one size fits all (or most). This would be an issue for me, as it seems that the ones at WB are made for people in the 5’5″ range and at 6′, it might look a little funny on me. Between the two options, we do like the quality, style, fit, and price better at the Wizarding World of Harry Potter at Universal Orlando Resort. Let us know your thoughts about the Harry Potter robes at the Harry Potter park in the comments, below.